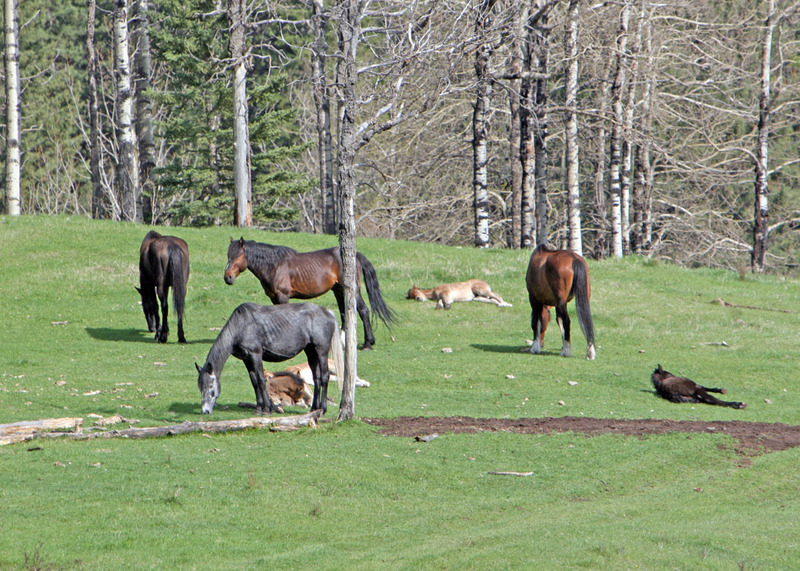 2011 was both a hard year for the horses and yet became a good year for the wild horses of Alberta. January, 2011, saw deep snow and extremely cold temperatures that negatively impacted the well being of the horses. The deep snow resulted in the horses having difficulty foraging for their food and the extreme cold caused them to use up their body reserves to survive early on. It was due to these conditions that a lot of the 2011 foals failed to survive and a large number of wild horse mares aborted their pregnancies. As a result the number of yearlings and foals was down significantly throughout the year. Yet despite all this, there were some wonderful surprises. 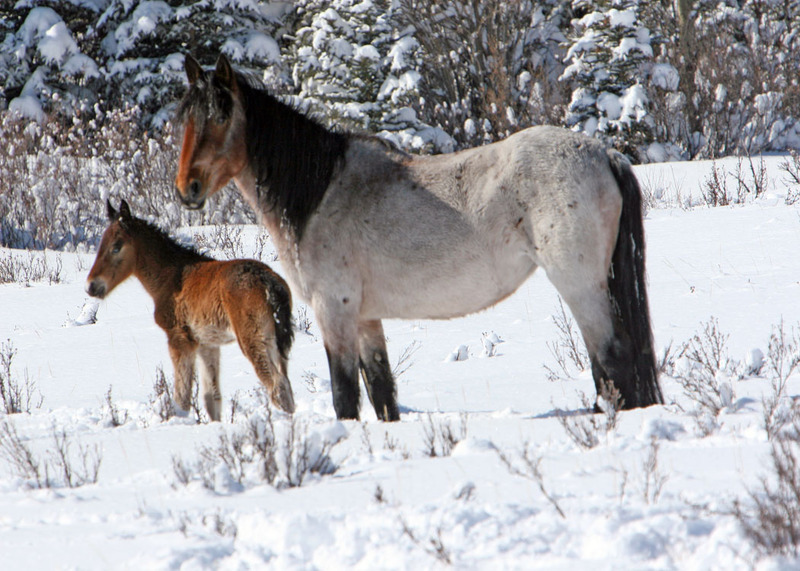 The first foal we saw was born on January 23, 2011, in very cold temperatures and in a snowstorm. 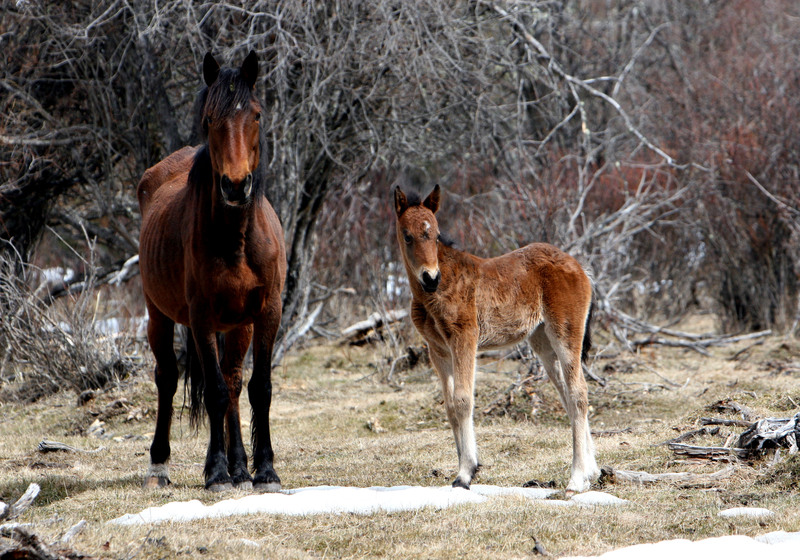 This was the earliest foal we have ever observed being born in the wild horse herds. We named the foal Yepa which means “snowstorm” and despite the hardships that winter does bring, Yepa survived and is doing exceedingly well as he reaches his first birthday. 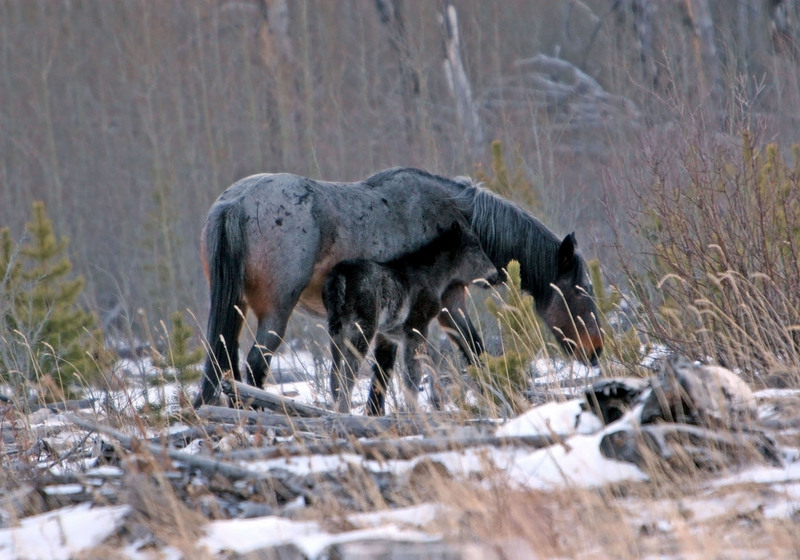 One of the miraculous things that enabled this foal to live despite the weather and the large number of wolf packs in the area was the herd stallion’s behaviour toward the young one. “Raven” dawdled over Yepa allowing the young one to stay very close to him for protection. This is completely unusual behaviour for the herd stallions as they usually stand off to the side of their herd, remaining aloof but ever vigilant to protect the whole herd. It’s April and winter is still hanging on with so much heavy wet snow in the wild horse meadows. This is the normal foaling time for so many of the mares but this kind of weather is nature’s harsh way of ensuring that only the strongest survive. As you can see by this mare, she has used up almost all of her body reserves to produce a very healthy foal. As the temperatures warmed and the grasses began to grow, the living for the wild horses in 2011 started to become easier. This was exhibited when about a month and half later we saw this mare and both were very healthy with shiny coats. With rains that came, the grasses started to grow and became very tall and lush everywhere we went in our travels. This enabled not only the horses, but all the other wildlife to flourish. This herd here was one of the few that several of the mares were able to bring to term healthy foals. As the season turned into summer, the herds moved up into their summer meadows. They do this to manage, in nature’s way, their forage. Always on the move so that they do not destroy their habitat and to allow the regeneration of their food sources. Again, 2011 was an unusual year in the fact that the insect pest numbers did not appear as they would normally. Maybe this is nature’s way of compensating for other hardships. But the horses do move into their usual summer routines by doing what we call “treeing up” to escape the heat and any bugs that may be about. With excellent food sources and the warmth of summer, the wild horses came into the fall in excellent condition. Meadows and the forest remained lush as the grasses as well as the trees turned into the golden colours of fall. Then in late October we were surprised by another new birth of a wild horse foal. 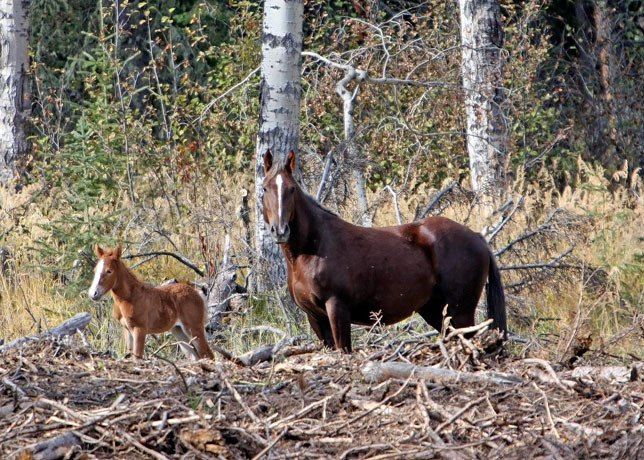 This turned out to be the latest we’ve ever seen a foal born in the wild. With meteorologist’s predicting the coldest and snowiest winter in over 20 years, we feared for the welfare of all the wild horses but especially this Little Wonder. However, despite the dire predictions, fall was tenacious in hanging on enabling the horses and other wildlife to build on their fat reserves. Then came the first blast of winter; a major snowstorm dumped 15 – 24 inches of snow throughout wild horse country and the temperatures plummeted. Then as if that was enough, there has been very little snow and the temperatures have warmed up to above normal for the rest of 2011. 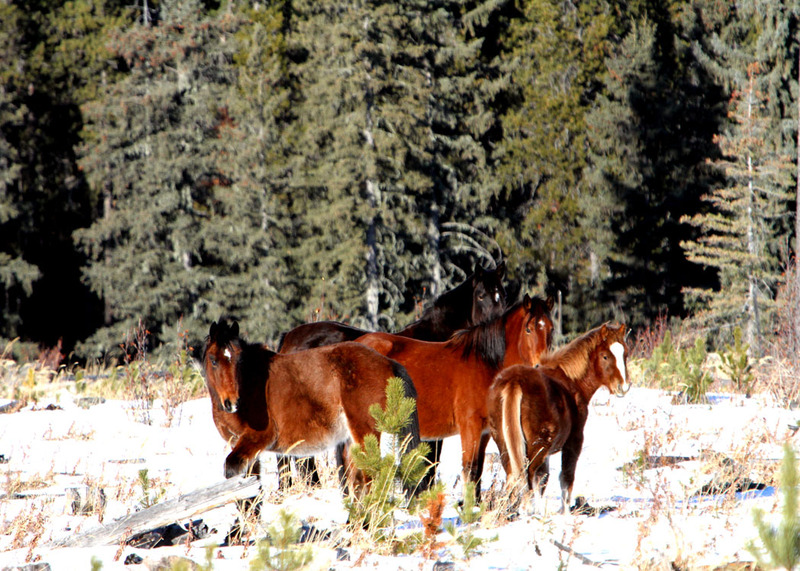 As we enter the new year our wild horses are in excellent shape and are ready to face whatever nature may throw at them in 2012. During the year, WHOAS also used several equine events to spread the word about the beautiful natural resource we have in the wild horses. 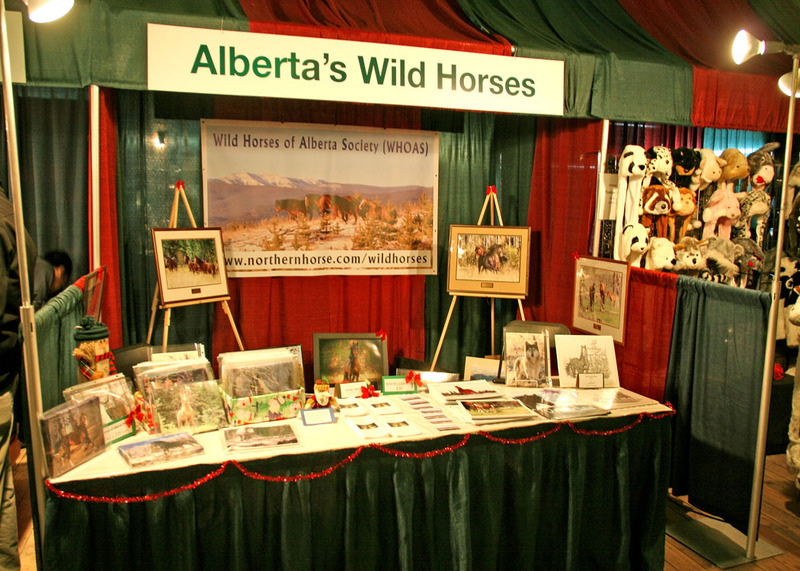 At the Spruce Meadows Master’s and at the Spruce Meadows Christmas Fairs, our display and informational booths were extremely well received by hundreds of visitors who stopped by. We handed out over 1,000 WHOAS brochures as well as selling a large number of our fundraising calendars. For those who haven’t got a copy, we still have a few available. 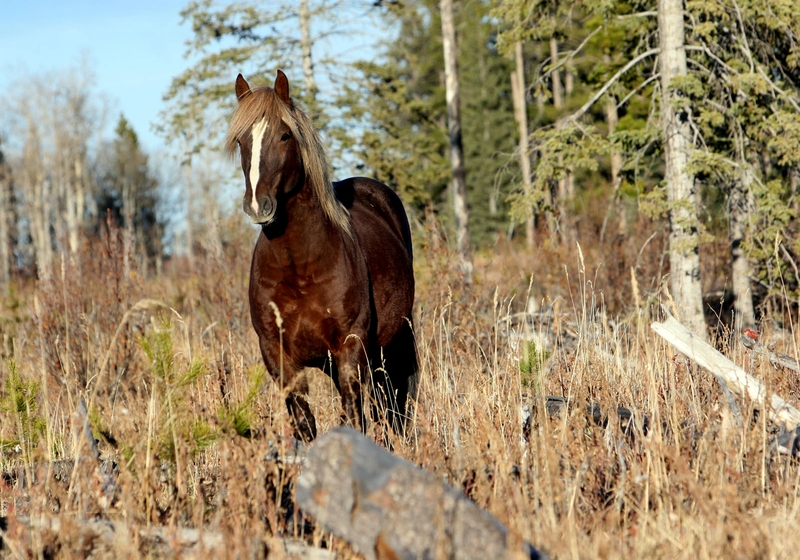 WHOAS is well under way to receiving charitable status which will allow us to more effectively reach our goals of ensuring the wild horses are given protection in Alberta. 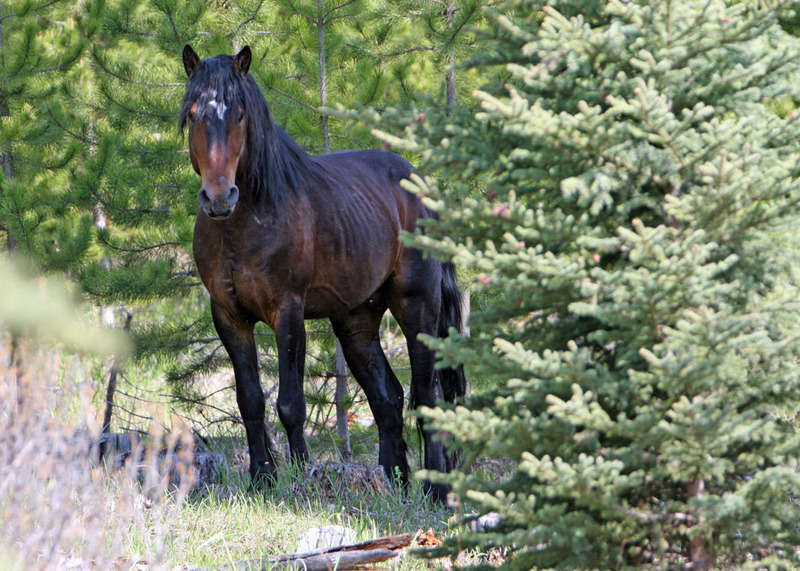 To date our efforts to have the government of Alberta recognize the wild horses as a beautiful natural resource continue to fall on deaf ears. It is with your support that eventually we hope to change these narrow-minded attitudes. 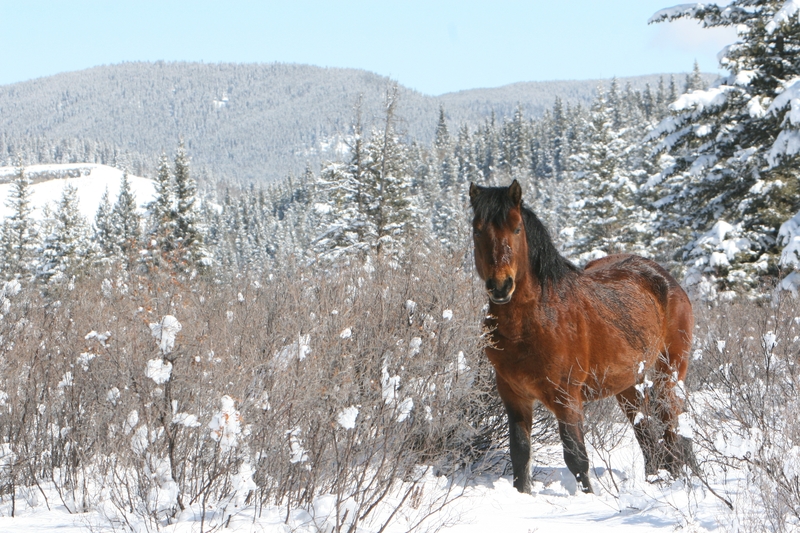 On behalf of the wild horses and the board of directors of WHOAS, we wish you all a happy and prosperous New Year. Thank you for your support.